What Does Psalm 107:9 Mean? 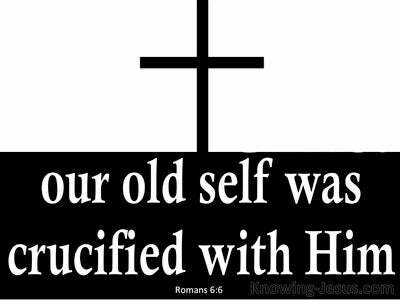 But it is also God who instills a deep hunger in the heart of the Christian, and so like Paul they reach a point in their lives when they too cry out: that I may know Him and the power of His resurrection and the fellowship of His sufferings, being conformed to His death. And the one who has been saved by grace through faith begins to learn that salvation is not only that exciting point of rebirth into the family of God, but is also a long and often difficult journey through life.. where faith is tried and tested - and God is proved to be faithful once again. 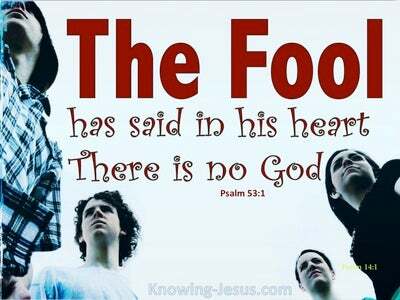 They discover that this life is a day by day journey, where sweet fellowship with the Father can be realised.. and the lovely Lord Jesus becomes more real to them.. and so much more precious, than on the day they first believed. 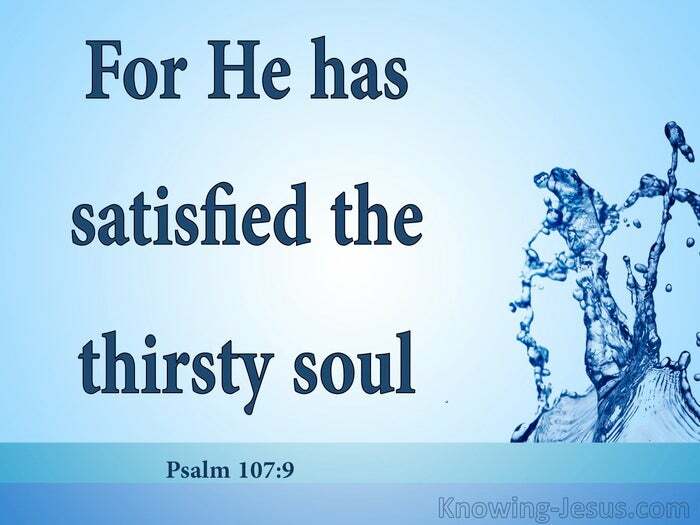 Blessed are they that seek the Lord with their whole heart, is the pronouncement of the Psalmist.. and those that seek Him with their whole heart discover over time... that He is indeed the one that satisfies the thirsty soul, and calms the troubled breast. Christ alone is the living water of life and those who know Him discover Him to be a well of refreshing water, that springs up into everlasting life. 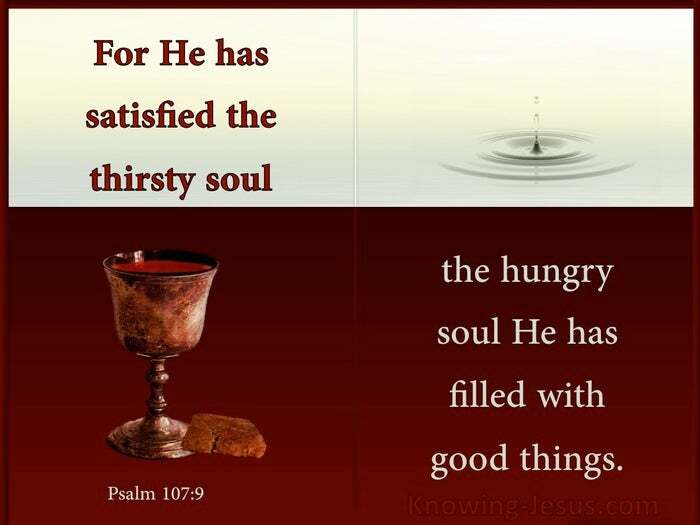 It is not the self-sufficient soul whose hunger is satisfied but the one who yearns for the fullness of Christ. It is not the self-reliant individual who is refreshed with living water and feasts on the bread of heaven - but the one.. who like the exhausted deer, pants for the refreshing water-pool in the midst of a dry and dusty desert. 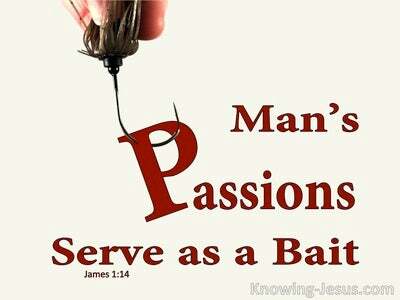 The one that seeks after God with their whole heart is the one that finds his satisfaction in the Lord. It is not the self-satisified, independent man who delights to be identified as 'master of his own destiny,' nor the carnal Christian who leaves his first love to enjoy the passing pleasures of this fallen world.. but the one who cries: my soul thirsts for the Lord.. my soul craves for the living God, who can claim with surety: He has satisfied my thirsty soul, and my hungering heart He has filled with many good things. Heavenly Father, my soul longs for You in a world that is spiralling into the abyss and my soul thirsts for close contact and more intimate fellowship with You. Thank You that You have satisfied my lost soul with Your saving grace so that I have peace with You.. and thank You that now that I am saved by grace through faith.. the peace of God reigns in my heart and in Christ I have all that I need. May I grow in grace and in a more intimate knowledge of Him - both in the power of His resurrection and through the fellowship with His suffering, until His coming again - when I shall see Him face to face - AMEN.